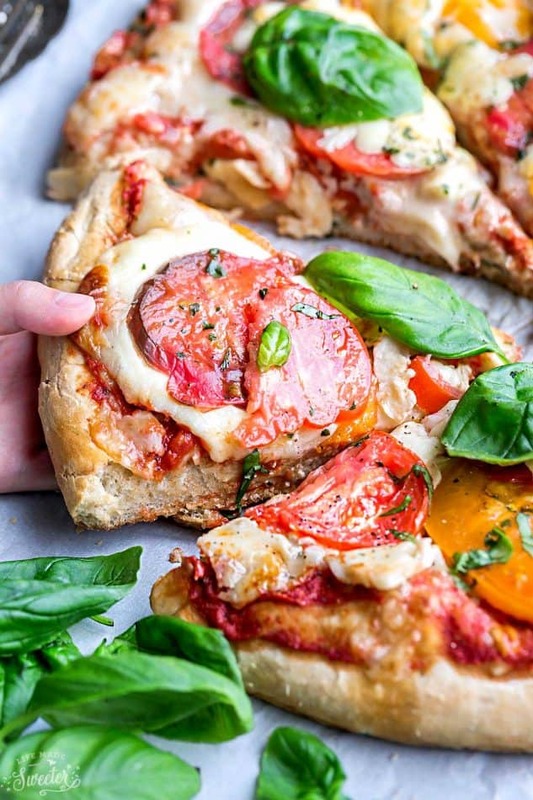 Easy Margherita Pizza is the perfect homemade fix for Pizza Night. It’s fresh, simple and has all the classic flavors you love about the classic Italian favorite. Pizza night is a favorite at our house. It’s the one thing that I know is sure to be greeted with cheers by everyone in our house. 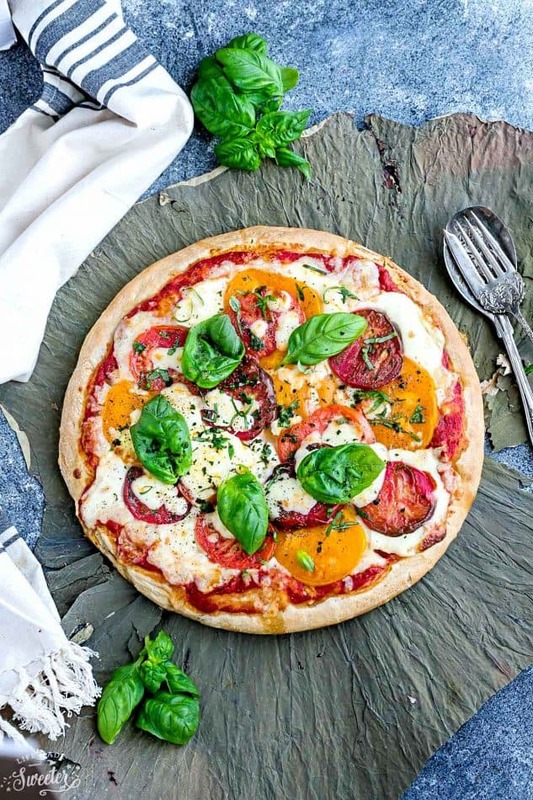 And since it’s National Pizza Day, I couldn’t help sharing one of our favorites, this easy Margherita Pizza. 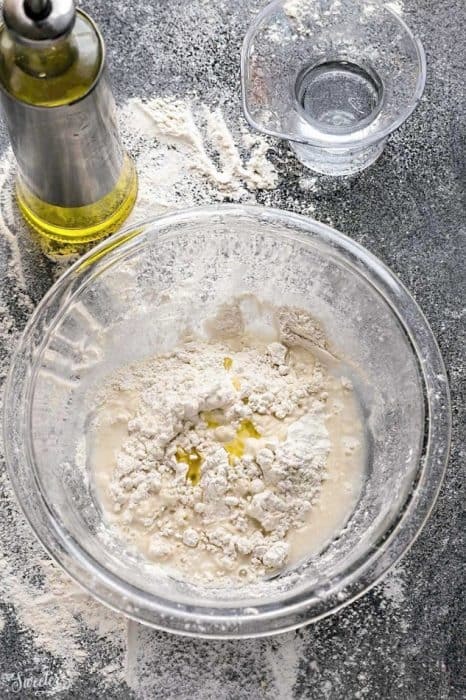 When it comes to making the pizza, we make it a family event and everyone has their own task. My kiddos help me add the ingredients for the dough and my husband is in charge of shaping it onto the pizza pan. 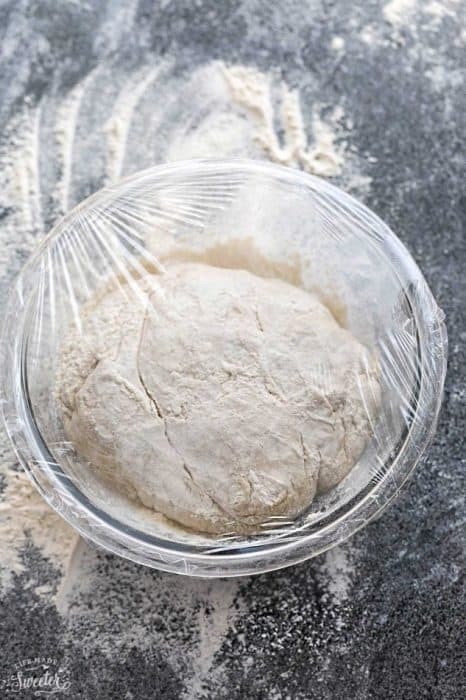 Start off by rolling out your favorite homemade or storebought pizza dough. Next, spread a layer of your favorite tomato sauce on top of pizza crust. 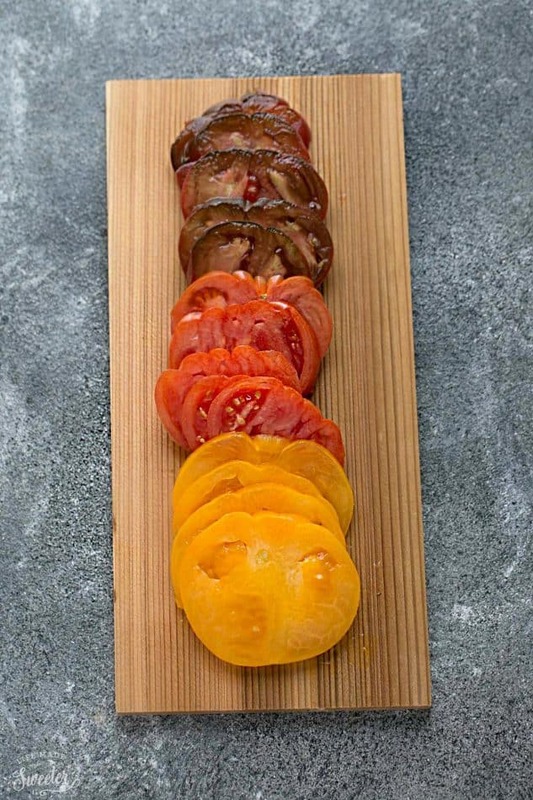 Sprinkle evenly with shredded cheeses, top with a few heirloom tomatoes and then a few Mozzarella slices. Bake in preheated 550 F degree oven for 7-10 minutes or until the crust is lightly browned and the cheese is bubbling. Remove from the oven and top with fresh basil and black pepper. 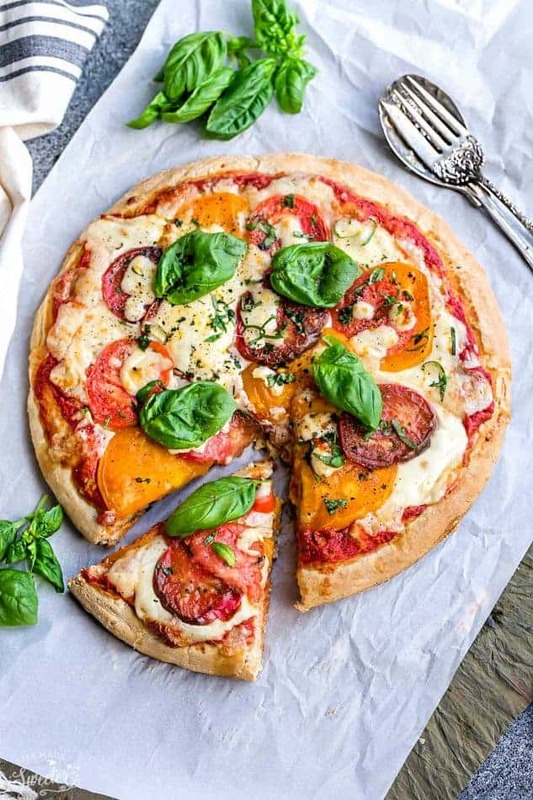 This pizza was fresh, flavorful and baked up perfectly! 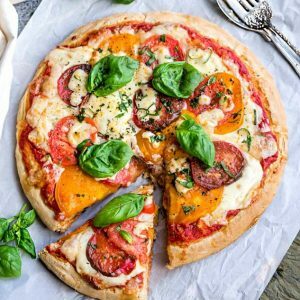 Easy Margherita Pizza is the perfect homemade fix for Pizza Night. 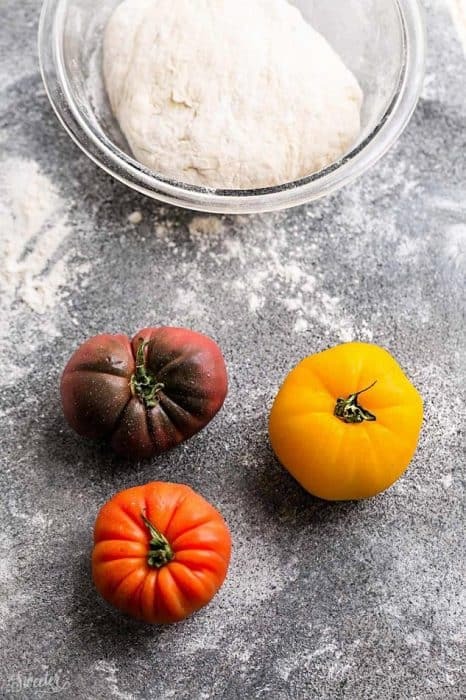 It's fresh, simple and has all the classic flavors you love about the classic Italian favorite. 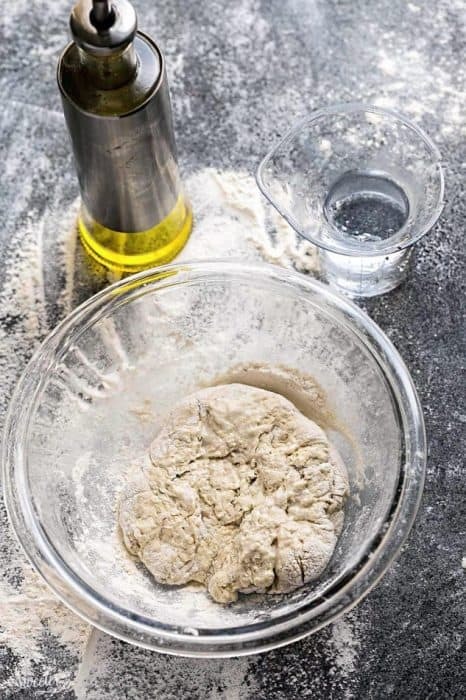 Prepare the pizza dough according to directions and shape onto a large round non-stick pizza pan. Spread tomato sauce on top of pizza crust. 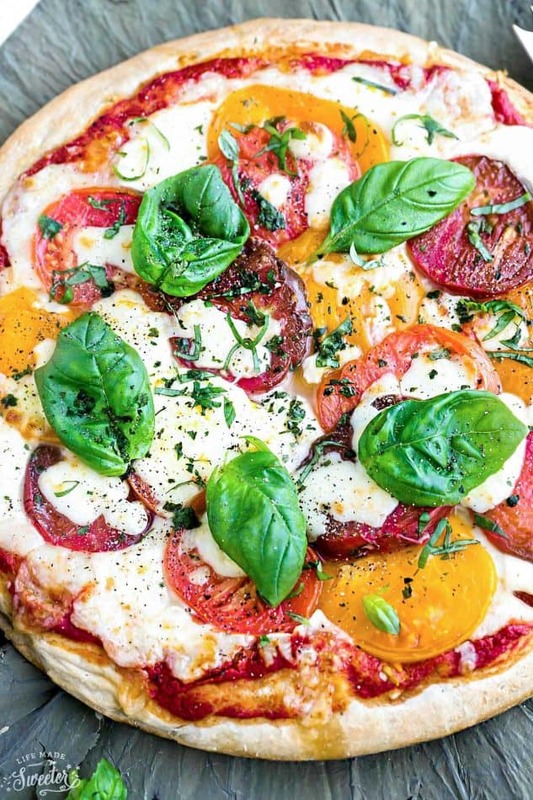 Sprinkle evenly with shredded cheeses, top with a few heirloom tomatoes and then a few Mozzarella slices. Bake in preheated oven for 7-10 minutes or until the crust is lightly browned and the cheese is bubbling. Remove from the oven and top with fresh basil and black pepper.